Below are a few examples of the kind of wildlife found in and around Johnson County. for a more complete look at Texas wildlife, please visit the Texas Parks and Wildlife Facts Sheet. The Swift Fox is about the size of a house cat and is the smallest of the American foxes. It has pale yellow fur with brownish ears and a fluffy tail with a black spot at the base of its tail and at the tip. Swift Foxes are characteristically nocturnal animals, although they are sometimes active during the daytime as well. The leave their dens at night to hunt and rarely move far from their dens. They rely on speed and nearness to their dens for safety. Foxes from many different family groups may hunt in the same territory, but not necessarily at the same time. Their diet is composed mainly of small mammals such as kangaroo rats, jackrabbits, cottontails, and rodents, but they will also eat insects, small birds, lizards, amphibians, and fish. 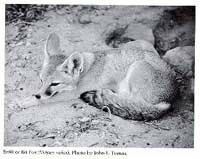 Swift Foxes pair up in the fall and have their litters in early spring. Most Swift Foxes have three to six babies in a litter. Swift Foxes are not very suspicious of humans, so that they are easily trapped or poisoned. In areas where trappers are active or where poison is used to control predators, the foxes have been greatly reduced in number or entirely eliminated. Swift Foxes typically live in the open desert or grasslands. They hunt in high, well-drained mesas, hilltops, along the borders of valleys, and sparsely vegetated hillsides and other well-drained areas. They have also adapted to cultivated and ranchlands. Distribution of the Swift Fox in Texas is limited to the western 1/3 of the state. E. fuscus is not listed by the U.S. Fish and Wildlife Service. Eptesicus fuscus is a relatively large, robust bat with a broad, sparsely furred nose and keeled calcar. Its fur color varies from light copper to dark chocolate brown. It has a relatively blunt and rounded tragus. Its forearm is 42-52 mm long, and it bat weighs 12-30 g. It most closely resembles the much smaller evening bat, which never has a forearm longer than 39 mm. It differs from all myotis bats in having upper premolars that are at least half as long as the canines. Those of myotis bats are much shorter, often barely visible. Though Big Brown Bats thrive in a variety of habitats, they appear to prefer deciduous forests. They are extremely hardy and often are the last bats to enter hibernation in late November and early December. They mate in fall before entering hibernation, though some mating has been recorded in spring. Females form maternity roosts where they give birth from May to July. Pups are born naked; their eyes and ears open a few hours after birth. 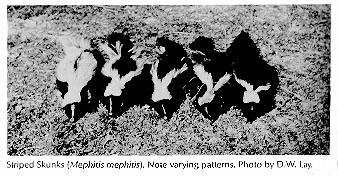 They learn to fly within 18 to 35 days and are weaned about two weeks later. They accompany their mothers on early foraging flights, and may continue to do so for up to 17 days after learning to fly. During the maternity season, most males live alone or in small bachelor colonies. Once young become independent, nursery colonies break up, and there is greater mixing of sexes before travel to hibernation sites. Big Brown Bats have been known to live for up to 20 years in the wild. Most Big Brown Bats hibernate in winter. Some exhibit life-long loyalty to their chosen over-wintering sites. These bats are also extremely loyal to the roosts where they are born and will return there year after year. In caves, they typically squeeze into tight crevices in especially cold areas near entrances. This helps protect them from sudden changes in air temperature, while additionally concealing them from predators. A large proportion of Big Brown Bats now live in buildings, some year-round. In the summer, Big Brown Bats emerge just before or soon after sundown, though some individuals will emerge even in mid-day to drink or feed when they are especially stressed. Feeding activity is most intense within the first two hours after sunset, but may occur anytime during the night. Regardless of the day roost chosen, individuals typically select separate night roosts where they rest between meals. Big Brown Bats do not show a preference for feeding over water versus land, or for forests versus clearings. They often feed over wetlands, crops, parks, roadways, and around street lights. Big Brown Bats are able to identify and select prey by listening to low frequency sounds made by the wings of flying insects. Small beetles, such as ground beetles, scarab beetles, and spotted cucumber beetles, are their most frequent prey, though food choice can be highly variable among seasons and localities. This bat has adapted to many habitats, from lowland deserts to timberline meadows. Though it originally lived in snags in old growth forests, it often lives in buildings. The Big Brown Bat lives from Alaska and central Canada, south through the continental United States, Caribbean islands, Mexico, and Central America, the southern-most part of its range reaching northern South America. Widely distributed over most of the eastern and western parts of Texas, but not yet recorded in the central part of the state or in Hawaii and southern-most Florida. The big brown bat is one of the most widespread and abundant bats in North America, yet little is known about its current status relative to past numbers. As fewer bats are permitted to live in buildings, even this ubiquitous species has declined in areas that have been closely monitored. Loss of roosting snags forces big brown bats to use buildings, where they are often killed by people or pets. Although this species coexists well with humans, inappropriate nuisance control measures put the bats needlessly at risk, even though exclusion is a more effective long-term solution. Big brown bats rank among America's most beneficial animals. Given their important roles in controlling garden, forest, and agricultural pests, they deserve protection whenever possible. When nuisance problems require exclusion from buildings, this species readily accepts properly built and located artificial roosts. Little is known about the status of this species relative to past numbers, and its impact on forest pests remains unstudied. This U.S. bat species is most closely associated with people. Striped Skunks are largely nocturnal and rarely leave their dens until evening, returning early in the morning. In late fall they become extremely fat. In Texas, they seem more active in winter than in the heat of summer. Skunks are social animals. Several individuals will often occupy a winter den in a good location. They eat a varied diet of both plants and animals. Insects form the bulk of their diet, but they also eat reptiles, small mammals, birds, and vegetation. Their breeding period begins in February or March. The young are born in early May, with average litters consisting of five offspring. Some females have two litters a year, but one litter per year is more common. The nursery is a cavity under a rock, a burrow, or a thicket of cactus or other protective vegetation. Usually the mother builds a nest of dried grasses and weed stems for the blind, helpless young. Baby skunks must remain hidden in their nest until they can see and are strong enough to follow their mother. Striped Skunks have a lifespan of about two years in the wild, but they have few natural enemies. Like humans, most predators avoid skunks because of the odor of their musk. When threatened or disturbed, skunks make a purring sound and often growl when attacked by humans. Prior to spraying the intruder with musk, skunks put on a defensive display by rising upon their hind feet, lurching forward, stamping both front feet, and at the same time clicking their teeth. The skunk is found in wooded or brushy areas and farmlands. They prefer taking shelter in rocky outcrops or under large boulders, but when these are unavailable, skunks choose to den in the abandoned burrows of other animals. They are distributed statewide in Texas. The Coyote is very similar in size to a small German Shepherd and weighs an average of 25 to 40 pounds. It has long, slender legs, a bushy tail with a black tip, and large ears that are held erect. 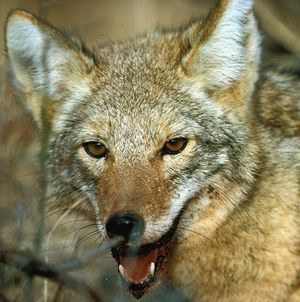 The Coyote's coat can vary, but it is usually gray or buff-colored. From a close vantage point, there is no mistaking the yellow eyes and black, round pupils. The Coyote is a strong swimmer. It characteristically runs with its tail down instead of horizontally like foxes, or up like wolves and dogs. The Coyote is an extremely intelligent animal with keen senses of hearing, sight and smell. It primarily is nocturnal and very opportunistic. Coyotes will eat just about anything. They feed primarily on rabbits, rodents and insects, but they also eat carrion, lizards, snakes, fruit, vegetable matter and even fish. This adaptability also is evident in their use of cover. The Coyote requires minimal shelter to survive, but it will use a den for the birth and care of its young. Coyotes usually prefer to take use an abandoned badger den or natural cavities rather than dig their own den; however, they will make the necessary renovations by excavating multiple escape tunnels linked to the surface. The adaptability of the Coyote and its acute sense of survival make it difficult to identify preferred habitat, although they most typically are associated with open plains in the West and brushy areas in the East. Their opportunistic nature has provided them the full advantage of surviving in a rapidly changing environment. 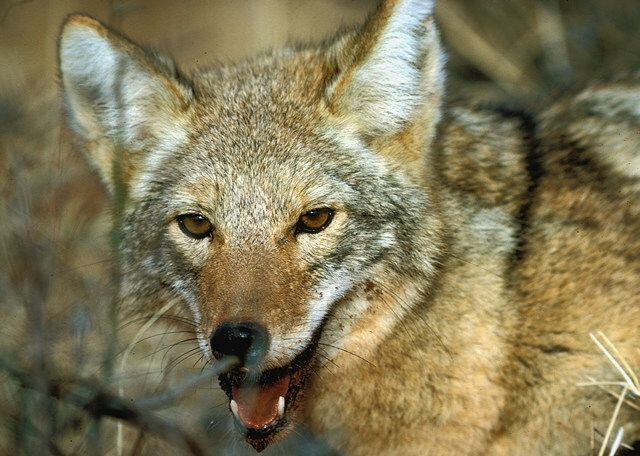 Coyotes have an extensive range across the United States. They have slowly filled the void left by the declining population of wolves throughout the country. In Texas, they range throughout the state. The bullsnake is a heavy-bodied snake that ranges from three to five feet in length. They are overall beige to light brown with dark brown or black blotches. Their belly is yellowish with black spots. Bullsnakes vary in temperament. Some are rather docile while others react very defensively toward anyone who attempts to handle them. 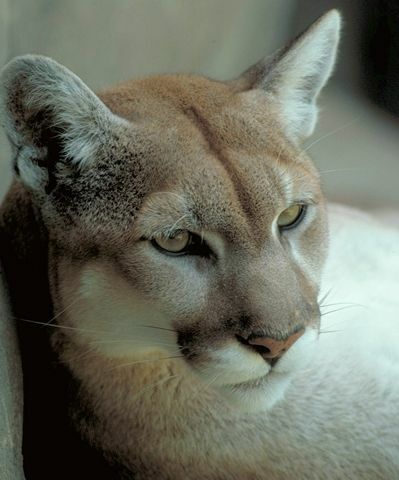 They may hiss loudly or even posture themselves in an S-shaped curve to deter potential threats. Despite their menacing attitude, they are non-venomous and they will not strike unless severely provoked. Bullsnakes are beneficial snakes because they eat quantities of mice, cotton rats, gophers and small mammals. They frequently are associated with prairie dog towns and burrowing animal systems where they eat ground squirrels, rabbits, prairie dogs and ground-nesting birds. 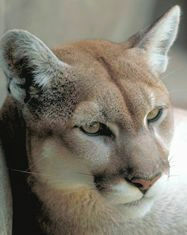 They usually hunt by day, but during hot summers they become increasingly active during the cool nights. Bullsnakes lay eggs. Mating occurs in March and April once they emerge from hibernation. During June and July, five to 19 leathery eggs are laid in loose soil. Fifteen to 20 hatchlings emerge in early autumn. Because bullsnakes move slowly, they frequently are killed while crossing roads. They may also meet certain death while basking roadways. Road mortality along with habitat destruction are two elements that plague the otherwise long-lived bullsnake. One is known to have survived in captivity for 22 years. Bullsnakes prefer sandy soils in fields, brushlands and grasslands. Bullsnakes occur in the western, southern and southeastern United States. They are very common throughout Texas except for the extreme east and extreme western Trans-Pecos. Copperheads feed on baby cottontails, swamp rabbits, rats, mice, birds, snakes, lizards, baby turtles, frogs, toads, and insects, especially grasshoppers and cicadas. They are preyed on by other snakes and raptors (birds of prey). Males reach sexual maturity within two years, females in three. Mating season is in the spring (February to early May), shortly after leaving winter dens; and fall (August to October) with fertilization delayed until following spring. Copperheads, like other pit vipers, do not lay eggs. Instead the eggs are kept inside the female's body until the eggs are ready to "hatch." Incubation time is 105 to 110 days. The four to eight young, 7 to 10 inches (17 to 25 cm) long, weigh less than an ounce (28 g) at birth. Although duller in color, they look much like adults with yellowish tail-tips. (Tail-tips fade after third or fourth year.) Females provide no parental care after birth. One animal lived 23 years and 2 months in captivity, but in the wild, the average lifespan is probably 6 to 8 years. Southern copperheads are diurnal (active during daylight hours) during early spring and late fall, at which time they will generally depend on the ability of their bodies to blend in with their environment to obtain prey and avoid enemies. They are nocturnal during the summer heat, actively hunting for prey during the cooler evening hours. Southern copperheads often eat one single meal every three weeks-even during their most active months. Copperheads sometimes nest with other snake species during hibernation. Some people believe that the bite of a baby venomous snake is more powerful than that of an adult. Actually, there is no difference in the venom's potency, regardless of the age of the snake. Snake venom's most important function is to kill animals to be eaten. Defense is only a secondary function. Like all vipers, southern copperheads use the "heat seeking pits" behind their eyes to help locate their prey. Lying motionless on a bed of dead leaves, the pale-brown and chestnut-colored southern copperhead is all but invisible-a regular stealth viper! These are venomous snakes, but they are slow-movers, and depending on the season, they often share habitats with their prey. Southern copperheads prefer mixed pasture and wooded lowlands, usually within a river bottom, where leaf litter, logs and branches provide places to hide. They are sometimes present in wooded suburbs, adapting to the presence of humans. The copperhead is found in the eastern United States to the central and southern states, and in the eastern third of Texas. The bite of a copperhead is seldom fatal because of its short fangs (1.2 to 7.2 mm in length) and small amount of venom. Taking some simple safety precautions, however, can keep you from harm. Be careful where you put your hands and feet-don't reach or step until you can see the bottom. Never step over a log without first seeing what is on the other side. If you must move a log, use a long stick or garden tool first to ensure snakes are neither under, on or around these favored habitats. Use a flashlight when moving about at night, even in your home yard. Animal burrows make excellent habitat for snakes-don't reach in without first checking. Wear protective clothing if working in areas where you suspect snakes nearby. Heavy footwear, snake proof trousers and/or leggings will help reduce your risk. Freeze when snakes are known to be nearby until you know where they are. Allow the snake to retreat. If you must move, back slowly and carefully away from the snake. Frogs, fish, smaller snakes (including other cottonmouths), small water birds and small mammals, carrion, and sometimes fish on stringers make up the cottonmouth's diet. Cottonmouths are preyed upon by other snakes and humans. Females reach sexual maturity at three years; males at two years. Mating occurs in the spring. Like other pit vipers, cottonmouths do not lay eggs. Instead the eggs are kept inside the female's body until the eggs are ready to "hatch." Because fertilization and pregnancy are based on the female's physical condition, gestation periods vary from snake to snake and season to season. Cottonmouths are born from early August until early October. Females bear only three to 12 offspring per litter. Newborn cottonmouths are 6 to 11 inches (15.2 to 28 cm) long. They have brownish or reddish bodies with lines that are wide on the sides and narrow across the back. Cottonmouths are born with yellow or greenish-gray tail tips and come complete with functional fangs and a full supply of venom. DO NOT TOUCH a young cottonmouth! Cottonmouths have a lifespan of less than ten years. When swimming, the cottonmouth holds its head above water with most of its body barely touching the surface. Cottonmouths are nocturnal, most active at night. The young wiggle their tails so that the tip appears to be a small worm. When small frogs and lizards see the wriggling tail, they think it's something to eat and rush forward to eat it, only to be eaten by the baby cottonmouth. Cottonmouths eat other snakes, including their own kind. The only time more than one cottonmouth would be in the same place at the same time is: 1) mating season, 2) female giving birth, or 3) one cottonmouth is eating another. Also called "water moccasin," cottonmouths CAN bite underwater, but their prey is fish. If they could not bite underwater, they would starve. Cottonmouths avoid contact with humans or any other possible predator. (All those stories about swarming cottonmouths attacking people are myths!) But like any animal, when threatened, cottonmouths will attack to protect themselves. In some places, especially around woodland ponds, you can find western cottonmouths every few yards. Sometimes, you can smell their musky odor in the air. Heat sensors on either side of the snake's face detect heat and help the cottonmouth to find food. Western cottonmouths prefer lowland swamps, lakes, rivers, sloughs, irrigation ditches, rice fields and salt marshes, but are not confined to living in moist habitats. Only 7% of all Texas snakebite cases involve cottonmouths. Throughout the United States, less than 1% of all deaths by snakebite have been caused by cottonmouths. While the odds make it seem unlikely to die from a cottonmouth bite, nonetheless, their venom can still cause severe bleeding and considerable damage to tissue. DO NOT TOUCH and if bitten, seek immediate medical attention! As our population continues to grow, and wildlife habitat is developed, encounters with venomous snakes are going to occur. Many of these encounters occur around the home, with the result that incidents of bites close to home are statistically high. Keep wood and brush piles, trash dumps and livestock pens as far as possible from the residence. When working in these areas, exercise caution. Never put an arm or leg into something if you cannot see the bottom. Use a flashlight when moving about at night, even in your home yard. Animal burrows make excellent habitat for snakes-don't reach in without first checking. All information was gathered from the Texas Parks and Wildlife Facts sheet.